Not all Learning Management Systems are the same nor do all offer the same features. As a result, defining your LMS selection needs is critical when you are in the market for a new Learning Management System. In this article, I’ll present the top 11 questions that will help you define and analyze what type of Learning Management System you should opt for. What was that quote, it takes a village to raise an LMS? All kidding aside, selecting an LMS requires a team of people, including company leadership. The LMS selection process starts with an exploration of goals. The free eBook LMS Buyer’s Kit by Expertus was designed to educate on crucial questions that will assist you in analyzing your organization’s LMS selection needs. What does your company want to accomplish by implementing an LMS? Your company’s goals will define what you look for in an LMS and how you will implement your LMS. 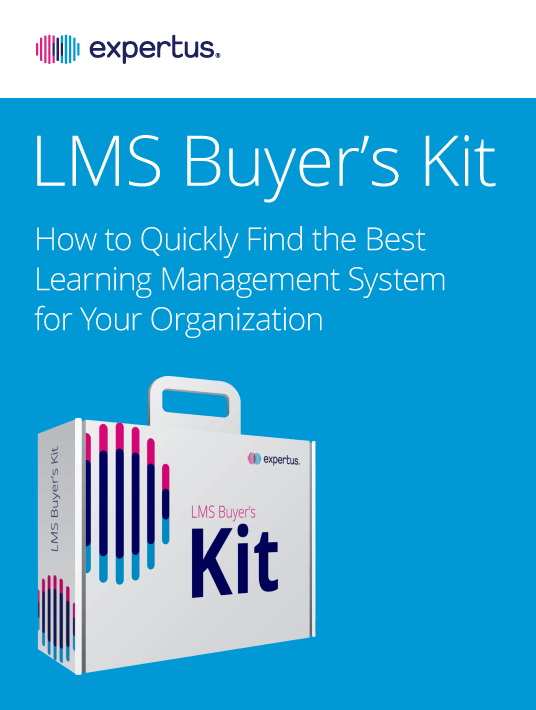 The LMS Buyer’s Kit by Expertus is the ultimate guide to people that are looking to buy an LMS. Learning Management Systems are chock-full of incredible tools that will take your online training program to the next level. This doesn’t mean your company is going to use every feature offered by your LMS. For instance, many Learning Management Systems offer a “monetization” tool. This tool is used to track how much you are charging class attendees. If you are offering classes to your employees, chances are you aren’t charging them to attend. Therefore, you don’t need to look for an LMS that tracks cash flow. Speak with your executive leadership to determine their goals for the LMS and choose this information to choose which LMS tools you will utilize. We at Expertus have devised a basic set of questions to help you analyze and define your LMS selection needs. The free eBook LMS Buyer's Kit is a comprehensive tool that guides you every step of the way through the LMS selection process. 1. What Are The Goals Of Your Company's Executive Leadership Regarding The LMS? This is the first step to analyzing your LMS selection needs. Invite them to consider what types of online training content you will deliver through the LMS. Indicative online training content types include interactive games, documents, videos and exams. Also, will your company provide online training content for all employee levels or just leadership? Think of all the online training currently performed by your company. Decide how many of your classes will be delivered through the LMS. Most importantly, to what extent do you want to continue relying on instructor-led classes? You should also debate on whether your company culture is more suited toward in-person or classroom-style online training. Now think in terms of online training content. Will you use the LMS to deliver online training content that is proprietary or sensitive? A re you going to provide online training content that is closed-captioned or otherwise modified for accessibility? Will your online training content be delivered in more than one language? It is recommended that you discuss security concerns with your prospective LMS software providers. What’s more, don’t neglect to think about how you will be using the LMS. Will you use it to deliver compliance courses or documents with legal ramifications? Last but not least, will you use the LMS to deliver specific reports regarding employee course completion? 2. What Are Your Goals For The LMS? Not all Learning Management Systems are alike! Each LMS software provider offers a unique system with different tools and features. Since each system has strengths and weaknesses, preparing a list of goals for your LMS will help you evaluate what features will be most helpful. 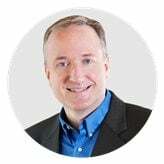 You should, therefore, write down at three specific goals your executive leadership has for your Learning Management System. 3. How Much Could Your Company Save In Expenses By Delivering Most Of The Training Through The LMS? Defining and analyzing your LMS selection needs is a challenging process. Expertus knows that well and this is why they designed the free eBook LMS Buyer’s Kit. The third question in the process of analyzing your LMS selection needs involves assessing how much it costs your company to offer classroom training. Researching the cost of these classes will help you better evaluate the cost of your LMS, as well as potential savings. Consider instructor expenses, labor involved in classroom setup, meal costs, travel and room rentals. Once you have an estimated total of the average expense per class, you can divide this figure by your average number of class attendees. This will tell you how much it costs per employee to deliver classroom training. Provide this number to your executive leadership when it’s time to evaluate the cost of Learning Management Systems. It’s a great benchmark! Also consider if you would like to deliver in-person trainings for new hires, so that instructors could establish a personal connection. Would you like to move all safety courses to your LMS so you can easily assign them to your entire employee base? 4. How Many Employees Or Online Learners Do You Have And What Is Your Projected Growth? The number of users accessing your LMS will affect how much your company will spend to maintain the system. Most LMS software providers charge a flat, annual rate to use their software, plus a per-user rate. Per-user rates vary by LMS software provider. Generally, the more users you have the less your company will pay per user. Jot down how many employees you currently have in your company, as well as an estimate of your company’s growth in coming years. Armed with these figures, ask the software providers you consider to give you an estimate of annual costs for their Learning Management System. Make sure they have included their per-user cost, if applicable. Determine approximately how much you will spend on your system during the first year. If you expect your employee count to increase in the following years, keep in mind that the cost of your Learning Management System may increase as well. 5. What Is Your Current Budget And What Do You Anticipate Your Future Budget Will Be? Make sure to ask potential LMS software providers for their estimated costs. Also, make sure to check if the rate they provided is locked in and for how long that is. Most importantly, get this in writing. All this is an important part of the process to analyze your LMS selection needs. It is not uncommon for LMS providers to raise the cost of their software when it is time to renew your company’s contract. Write down some important points to discuss with potential LMS software providers in order to determine whether their LMS is a good match for your objectives. Taking into consideration your discussions and research up to this point, what are your company’s goals for the LMS? How important will the LMS be to your company’s training culture? Do you have any specific concerns an LMS software provider should address early on? If you have employees who are capable of functioning as system administrators, will these people be full-time admins, or will they perform other functions outside of the LMS? 6. How Many System Administrators Will You Need To Support Your LMS? Discuss with company leadership whether there will be a budget for LMS administrators. Make sure you ask all the right questions. How many people can your company devote to administering your LMS? Do you have employees who are technically capable of being an LMS administrator or an eLearning content designer? Are those same employees capable of handling your LMS without having a minor psychotic episode or destroying vital company equipment? Many companies have trainers who serve as LMS administrators while fulfilling other responsibilities. Begin reflecting on who in your company can help with LMS administration and online training content creation for your LMS. 7. Do You Want Employees To Access Online Training Content Also From Home, Or Only On The Company Network? This is a question worth devoting time to and the free eBook LMS Buyer's Kit by Expertus is here to address all aspects of the issue. Essentially, this boils down to whether or not you want employees to be able to access online training content at home on their own time. Your immediate reply might be a resounding yes, but there are legal implications. Let’s say you have two employees competing for a promotion. One employee has been taking online training courses on your LMS from home, while the other hasn’t. The latter could accuse the company of favoring the first employee based solely on their completion of online training courses. Yes, it has really happened! 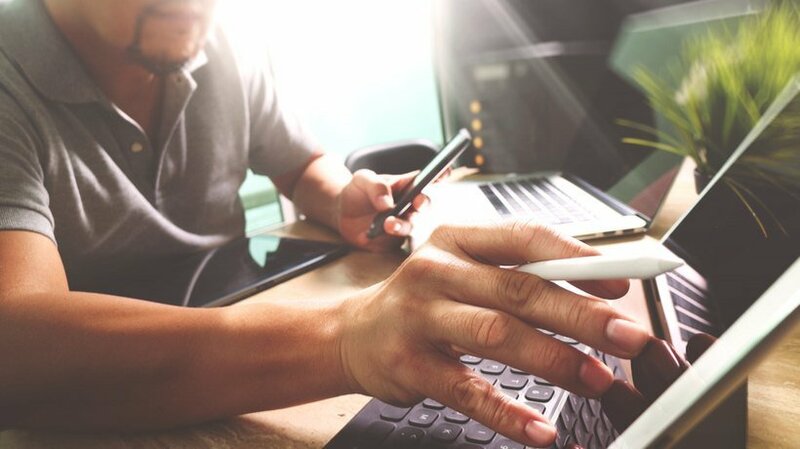 For this reason you may want to ask your LMS software provider whether it is possible to make your LMS available only through your company intranet. 8. Will All Of Your Employees Have Access To The LMS? This is an important question to address early in the process of analyzing your LMS selection needs. If all of your employees have access to your LMS, your user number will be significantly higher. This is both good and bad. Giving all your employees LMS access will obviously increase the impact of your online training courses and give you a greater LMS ROI. You will be able to offer a variety of compliance and company culture courses to new hires. You will also be able to deliver safety and compliance documents and courses. In addition, the online training numbers you deliver to leadership will be much more impressive, hopefully leading to more financial support for the LMS. There are only two downsides to making your LMS available to all employees company-wide. First, there is the issue of expenses. Many LMS software providers will charge you a flat annual fee, plus a fee per user. The higher the number of users, the higher the total expense of your LMS will be. Secondly, you will have more users who need to learn how to use the LMS. It follows that you will need more admins to answer questions. You will also have more employees who need technical support. In addition, there will be more people who may need courses designed in different languages or with heightened accessibilty features. Last but not least, you will have more people asking for a broader range of course topics. Catering to the needs of your entire employee base will be challenging, especially during the LMS roll-out phase. However, the end-result will be rewarding, both for your employees and for your company as a whole. 9. How Will Your LMS Interact With Or Link To Existing Company Systems? 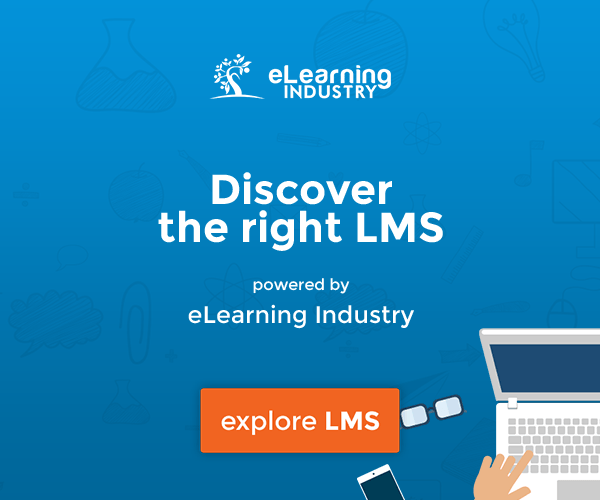 When you are shopping for your Learning Management System, you will notice that many software providers offer other management systems designed to work with their LMS. For example, let’s say you purchase human resource management software along with your LMS. The HRM system can tell the LMS when a new employee has been added to the company roster. The LMS can then create log-in credentials for the employee and instantly assign the online training courses you have specified for new hires. 10. Do All Of Your Employees Have eMail addresses? Some companies only provide email addresses to members of leadership. Limiting the number of company email addresses cuts down on the amount of server space needed for email storage. It also decreases the number of users requesting technical support. You can run most Learning Management Systems regardless of whether all employees have a company email address. However, if all of your LMS users have a company email address many administrative tasks become much easier. 11. What Will Your Employees Use As Their LMS Username? The last question you should pose in your attempt to analyze your LMS selection needs. When using your LMS, each of your employees will access their account by entering a username and a password. When your LMS is first implemented, all employees will be issued a temporary password. Employees will be prompted to reset their temporary password to one of their choosing when they log into the LMS for the first time. Ask your LMS software provider what will happen if an employee forgets their password. Many LMSs allow users to set security questions that they can answer in order to reset their passwords. Other Learning Management Systems may require that the password be manually reset by an administrator. Depending on the size of your company password resets may significantly add to the workload of your LMS administrators. The LMS selection process is quite tricky and there is a certain methodology to it, if you want to get it right. Do not go overboard with fancy features you have no use for. Make sure you use the aforementioned list of questions to help you define and analyze your LMS selection needs. Once this is out of the way, be aware that you have taken the first critical step towards opting for the right Learning Management System. Download the free eBook LMS Buyer's Kit and get informed on important criteria to help you select an LMS software provider. LMS Buyer’s Kit will additionally educate you on convincing arguments you can use to achieve LMS implementation funding.